In the first four years of the CDPP, we have published over 40 academic papers, produced nearly 20 knowledge products, and engaged more than 150 trainees. These are accomplishments to celebrate! However, with our success has come an unexpected problem: how to squeeze all that great work into a bi-annual newsletter. This month, we launch a new newsletter format, highlighting one recent accomplishment from each CDPP team. We now plan to send newsletters every other month, with bite-size amounts of information that direct readers to the newest CDPP research and knowledge translation products. We hope you find this new format useful and we welcome your feedback. 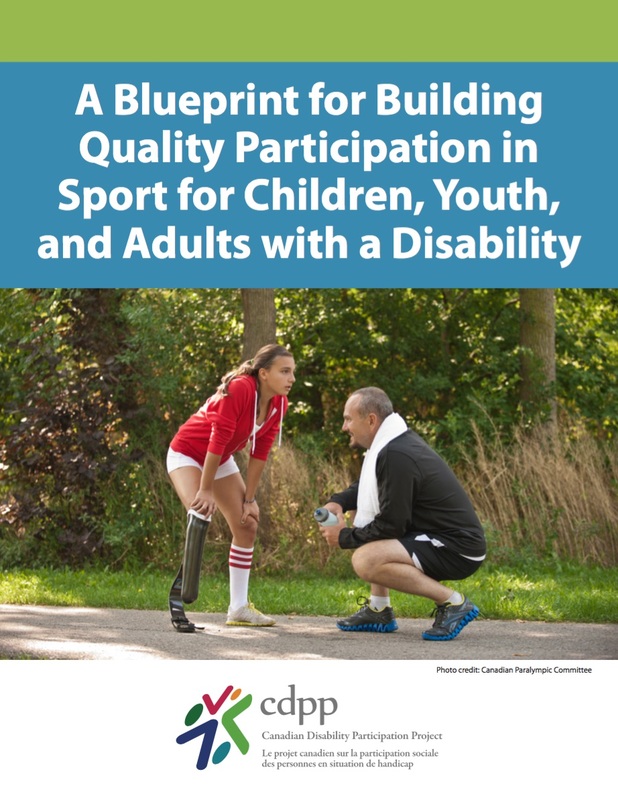 The Sport and Exercise Team is excited to provide A Blueprint for Building Quality Participation in Sport for Children, Youth, and Adults with a Disability. This checklist introduces key concepts that underpin quality participation, and provides tools for building quality participation in sport programs. 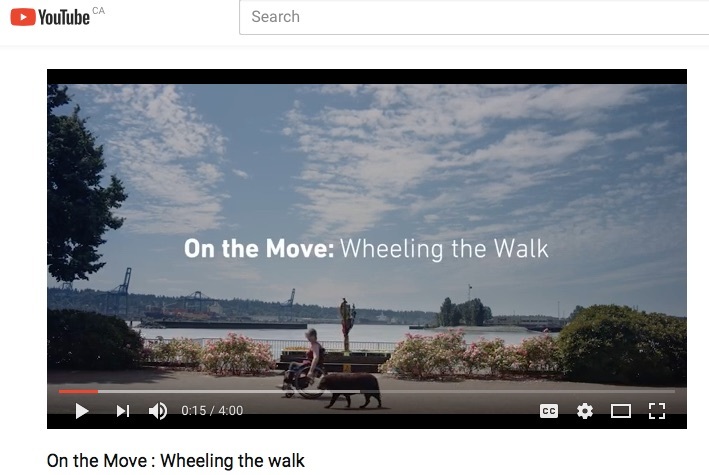 On the Move: Wheeling the Walk is a video created by the Mobility Team that draws on results of environmental audits and photo documentation highlighting barriers to neighbourhood mobility experienced daily by mobility device users. 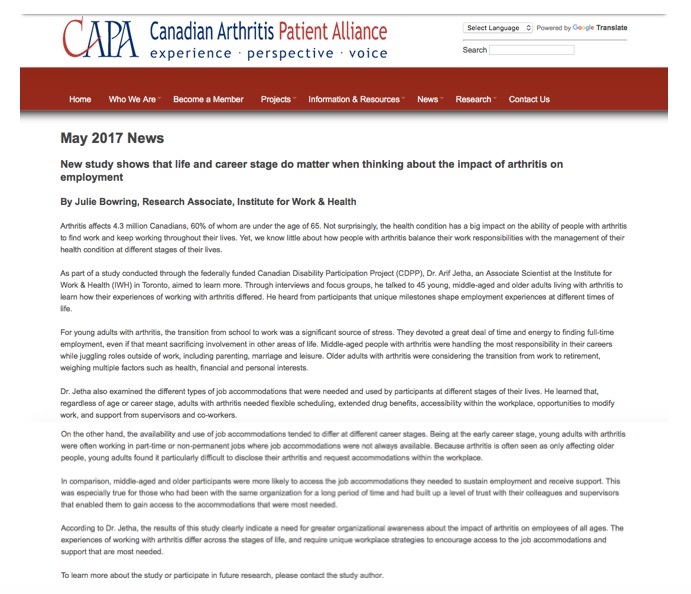 The Canadian Arthritis Patient Alliance has highlighted the Employment Team’s research calling for greater organizational awareness regarding the impact of arthritis on employees of all ages.